Comic-Con week has finally arrived, and as the masses of lucky attendees gather to celebrate and peek at the latest the world of comics, movies, and popculture has to offer, there’s plenty of surprises happening on Day 0 – aka preview night for the 2015 installment of the San Diego Comic-Con. 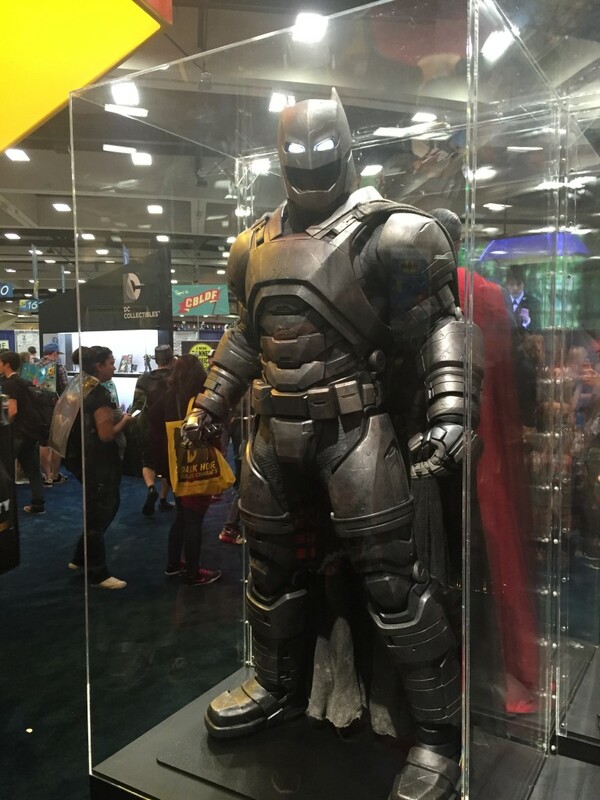 One of them happens to be a special exhibition hall for displays of various action figures, statues, and props… And pictures have already been released online of what’s featured there, INCLUDING the FULL LOOK at the armor Ben Affleck’s Batman wears for his epic and titanic clash against Henry Cavill’s Superman in next year’s Batman v Superman: Dawn of Justice! Via Comic Book.com, here’s a nice front and center pic of the Bat Armor. Many have wondered whether “Batfleck’s” suit was actually constructed from the ground up or built using CGI. Now the world pretty much has a clear answer on that aspect of the film, and it certainly looks absolutely gorgeous and intimidating to look at in person. 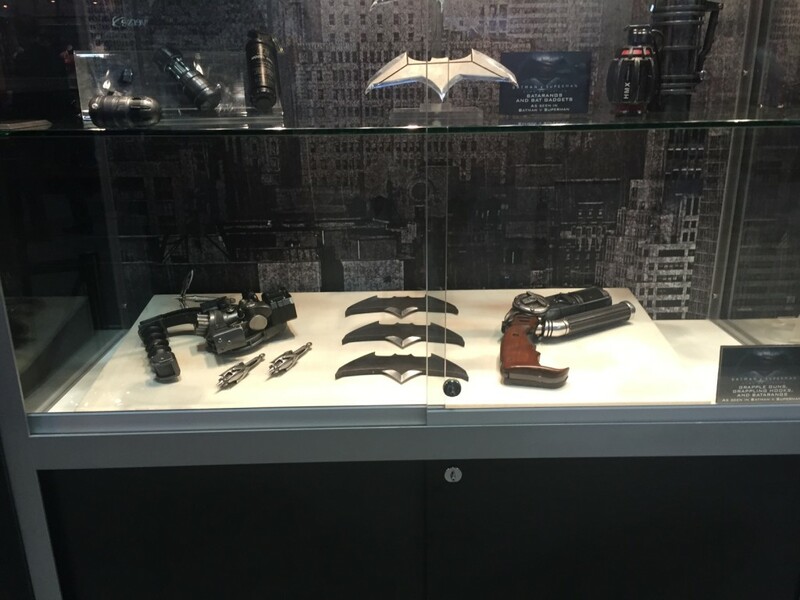 Aside from the Batsuit, other pics from Batman’s arsenal were also on hand to be viewed by the public, including the BvS iteration of Batman’s Grapple Gun and Batarangs. 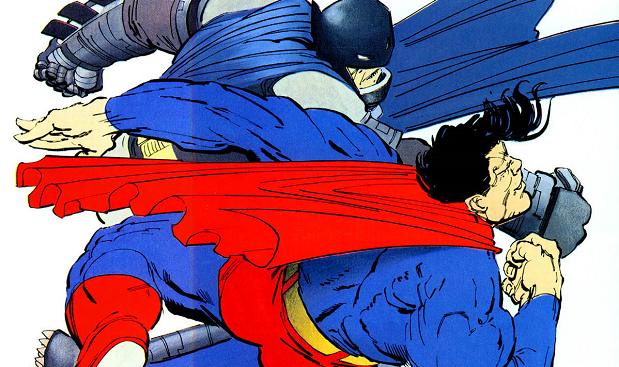 It looks like The Dark Knight is totally geared up and ready to take on Superman by any means necessary. Inspired by the final suit an aged Bruce Wayne wears to take on his friend Clark Kent/ Superman in the final chapter Frank Miller’s seminal Batman story that is Batman: The Dark Knight Returns, the Batman Armor in BvS Ben Affleck wears is a direct homage to that storyline, as is the original Batsuit, logo, and confrontation The Caped Crusader has with The Man of Steel. More stuff will definitely be revealed about Batman v Superman in the coming days as SDCC progresses, so stay tuned for it! Next articleSDCC 2015: Street Fighter x G.I.Joe comic by IDW Publishing coming in 2016!